On March 22 , on the occasion of Water Resources Protection Day, with support of the State Representative- Governor Mr. Nugzar Kipiani, Greens Movement of Georgia organized a clean up action in Mtskheta – Mtianeti region. On March 21- 22 , on the occasion of Water Resources Protection Day, with support of Khoni regional coordinator of Greens Movement of Georgia, clean up actions were organized. 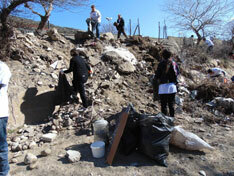 On March 21 public school adjacent square and part of village center surrounding area has been cleaned up. 30 people took part in the action. 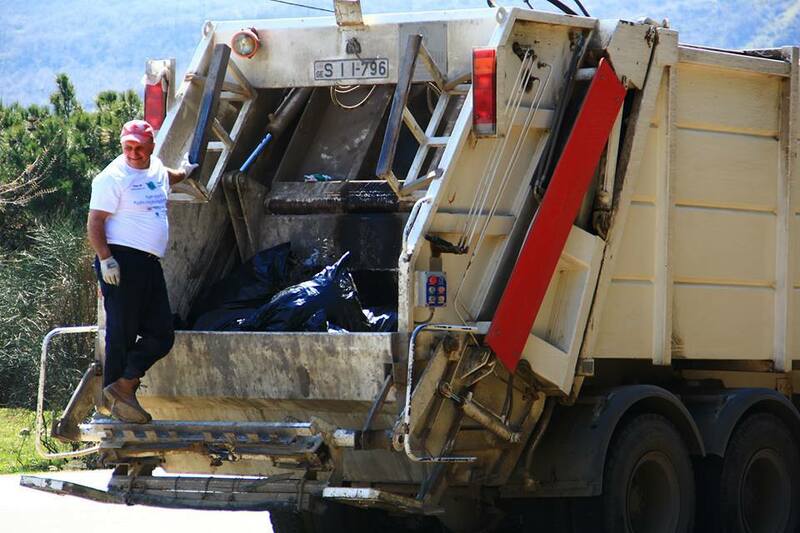 About 1,5 ha of area has been cleaned up and 0.5 m3 of waste were collected in the course of the campaign. On March 21, 2014, in the framework of the project “Clean Up Georgia – Raising of Public Awareness and Involvement in Solid Waste Management Improvement ” (Phase II), Georgian Society of Nature Explorers “Orchis” arranged a Meeting in Aspindza Municipality with the participation of the representatives of Aspindza Municipality Sakrebulo and Gamgeoba, Local Authorities, LTDs and others. In the framework of "Blue stream " campaign, Greens Movement/ Friends of the Earth-Georgia has organized and conducted a clean-up event of Gldanula river shoreline dedicated to the Water Resources Protection Day on March 22 , 2014. March 21, in the framework of the project «Clean Up Georgia - to increase public awareness and participation in the improvement of solid waste" (Phase II) cleaning action took place in Kharagauli municipality, village Islari. During the event, the surrounding areas of the river Jikhvela (spontaneous dump) and the main road of the village have been cleared. 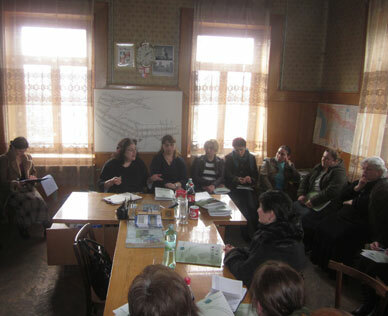 On March 20, 2014, in the framework of the project “Clean Up Georgia – Raising of Public Awareness and Involvement in Solid Waste Management Improvement” (Phase II), Greens movement of Georgia/ Friends of the Earth Georgia held a meeting at the building of library in Kvareli municipality, village Shilda, with the participation of the representatives of local population . 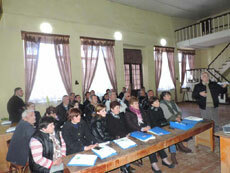 On March 20, 2014, in the framework of the project “Clean Up Georgia – Raising of Public Awareness and Involvement in Solid Waste Management Improvement” (Phase II), Greens movement of Georgia/ Friends of the Earth Georgia held a meeting in Kvareli municipality, village Akhalsopeli, with the participation of the representatives of local population . 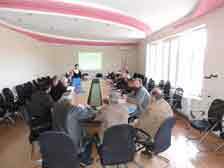 On March 19, 2014, in the framework of the project “Clean Up Georgia – Raising of Public Awareness and Involvement in Solid Waste Management Improvement ” (Phase II), Georgian Society of Nature Explorers “Orchis” arranged a Meeting in Tsalka Municipality with the participation of the representatives of Tsalka Municipality Sakrebulo and Gamgeoba, Local Authorities and others. 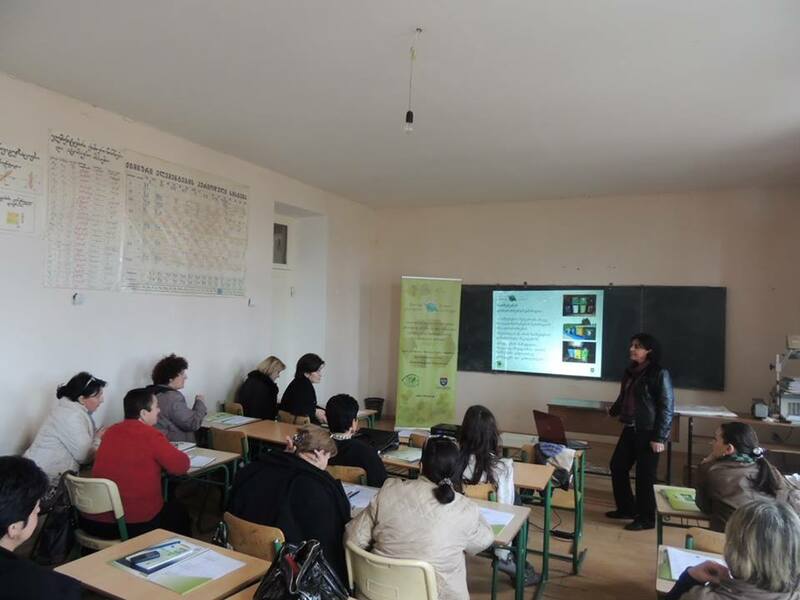 On March 18, 2014, in the framework of the project “Clean Up Georgia – Raising of Public Awareness and Involvement in Solid Waste Management Improvement” (Phase II), was arranged the meeting with the teachers of Tetritskaro Municipality schools by ECOVISION – The Union for Sustainable Development. 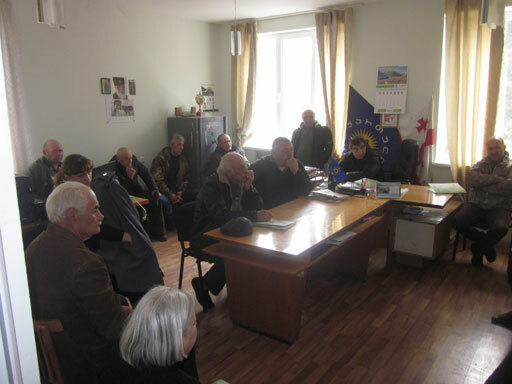 On March 18, 2014, in the framework of the project “Clean Up Georgia – Raising of Public Awareness and Involvement in Solid Waste Management Improvement” (Phase II), Greens movement of Georgia/ Friends of the Earth Georgia held a meeting at the building of library in borough Surami, with the participation of the representatives of local population . 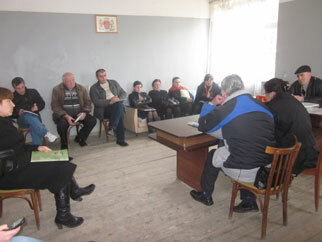 On March 18, 2014, in the framework of the project “Clean Up Georgia – Raising of Public Awareness and Involvement in Solid Waste Management Improvement” (Phase II), Greens movement of Georgia/ Friends of the Earth Georgia held a meeting in Khashuri Municipality, village Kvishkheti with the participation of the representatives of local population and village trustee. 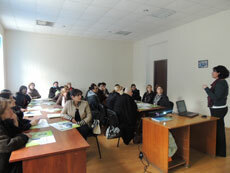 On March 13, 2014, in the framework of the project “Clean Up Georgia – Raising of Public Awareness and Involvement in Solid Waste Management Improvement” (Phase II), was arranged the meeting with the teachers of Bolnisi Municipality schools by ECOVISION – The Union for Sustainable Development. The aim of the meeting was to raise public awareness of teachers in the field of solid domestic waste management. On March 13, 2014, in the framework of the project “Clean Up Georgia – Raising of Public Awareness and Involvement in Solid Waste Management Improvement” (Phase II), Greens movement of Georgia/ Friends of the Earth Georgia held a meeting in Dedoflistskharo Municipality, village Samreklo, with the participation of the representatives of local population, in particular with women. On March 13, 2014, in the framework of the project “Clean Up Georgia – Raising of Public Awareness and Involvement in Solid Waste Management Improvement” (Phase II), Greens movement of Georgia/ Friends of the Earth Georgia arranged a seminar in Dedoflistskharo Municipality, village Khornabuji , with the participation of the representatives of local population. 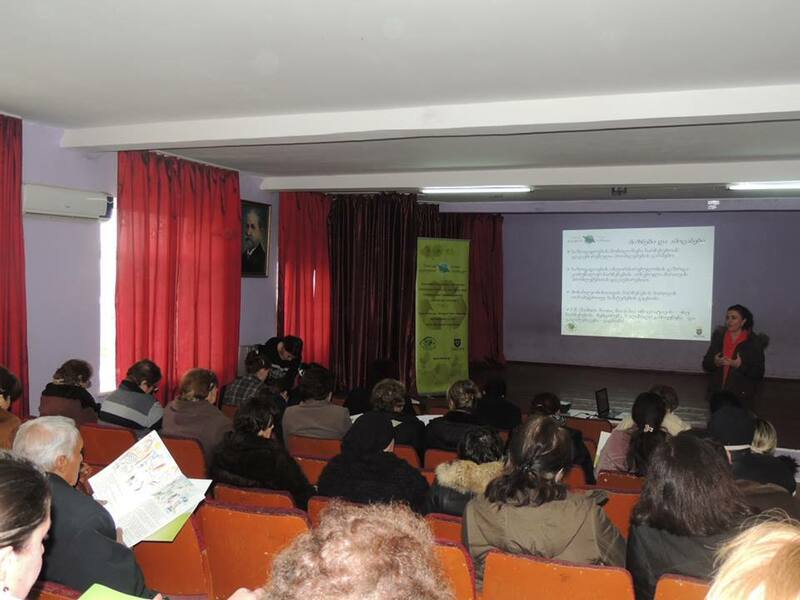 On March 11, 2014, in the framework of the project “Clean Up Georgia – Raising of Public Awareness and Involvement in Solid Waste Management Improvement” (Phase II), was arranged the meeting with the teachers of Gardabani Municipality schools by ECOVISION – The Union for Sustainable Development.